Pandora’s personalized radio is essential for road trips, commutes, and any other listening occasion. 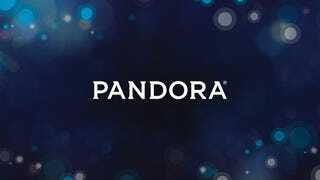 Their premium subscription, Pandora One, lets you listen ad-free and gives you unlimited skips per day. For a limited time, Jalopnik readers can save 20% on a 6-month Pandora One subscription - just $24. Pandora is your personal DJ for road-trips, daily commutes, or listening at home. Their “music-genome” technology analyzes your music preferences and plays personalized playlists for you to discover new artists and songs based on your specific tastes. With Pandora One, you’ll never be bothered by ads and will get unlimited daily skips (up to 6 per hour) for optimal, uninterrupted listening. This limited time offer gets you a 6-month subscription for 20% off - just $24 in total. That’s cheaper than Spotify Premium and Apple Music (both $9.99 / month). You can see all compatible cars, home devices, and mobile devices here. Don’t miss out - take advantage of this special offer at the link below.